The third JobSpin.cz Multilingual Job Fair Powered by Prague.TV took place last Saturday at Anglo-American University Prague. We can report: our mission – to connect employers with talented multilingual job seekers – was successfully accomplished! More than 700 people showed up wanting to discuss job opportunities. The candidates got on-point career consultations at 19 companies and organizations – CDK Global, Crown Worldwide Group, HAYS Response, Experis, Manpower, NonStop Recruitment, AB InBev, Accenture, Amazon, Dorset Recruitment, Expedia, GoodCall, SAP Services, SELLBYTEL Group, SIRVA Worldwide Relocation & Moving, TABELLA, UtilityWise Prague, MoveToPrague.com, and Foreigners.cz. You can find more information about all companies and recruitment agencies in our previous article: “I’m Not a Tourist in Prague” – JobSpin.cz Multilingual Job Fair, April 2017”. Having listened both sides – employers and candidates – we are expecting a lot of people to get call backs for the job interviews this week (and this makes us very proud and happy). We asked the visitors to leave us written feedback. Many people came to seek a particular company or attend a presentation. The visitors mentioned they wanted to meet specifically representatives from AB InBev, Amazon, or Expedia. 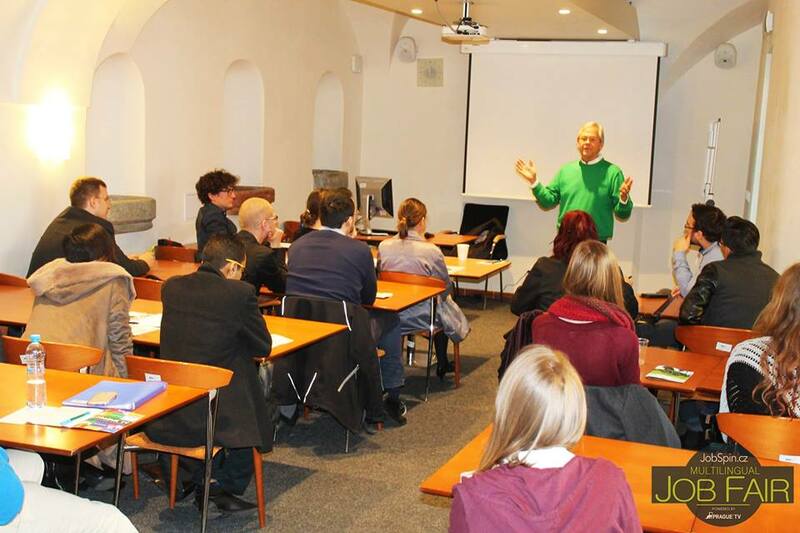 Among the most sought after presentations were “Creating Your Career Success” from Pepper de Callier, Senior-Executive Coach and Founder of Prague Leadership Institute, and the presentation about Employee Cards of Daria Somova and Jan Kalina, Relocation Experts from Movetoprague.com. Thanks to the visitors for their feedback!  We’ll try to follow your suggestion for the next events. 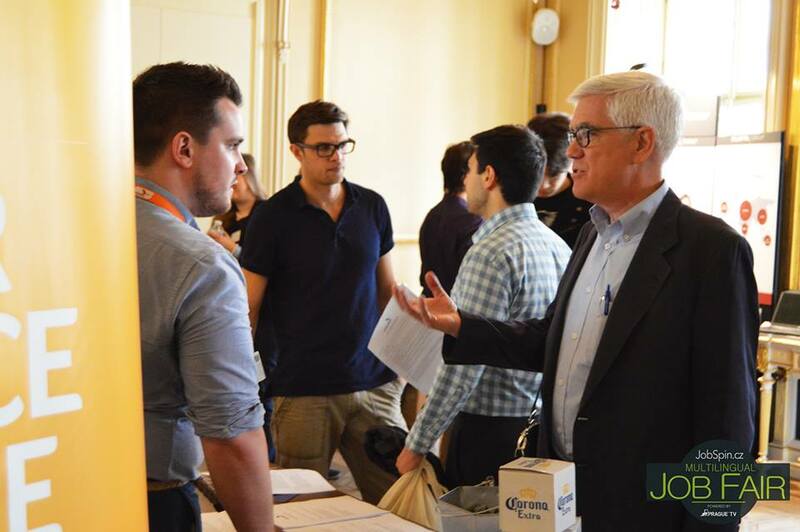 Did you miss the last Job Fair or maybe, do you want to have another opportunity to meet hiring companies? Don’t worry! You can always catch up with the employers at the next JobSpin.cz Multilingual Job Fair Powered by Prague.TV on 21st of October, 2017 at Anglo-American University in Prague or stop by at JobSpin.cz Multilingual Job Fair Powered by Daily Monitor on 30th of September, 2017 in Brno. Looking forward to meeting you there! Don’t hesitate to leave us an on-line review or inquiry below the article. JobSpin.cz Multilingual Job Fair Powered by Prague.TV: Accenture. April 8, 2017, Anglo-American University. 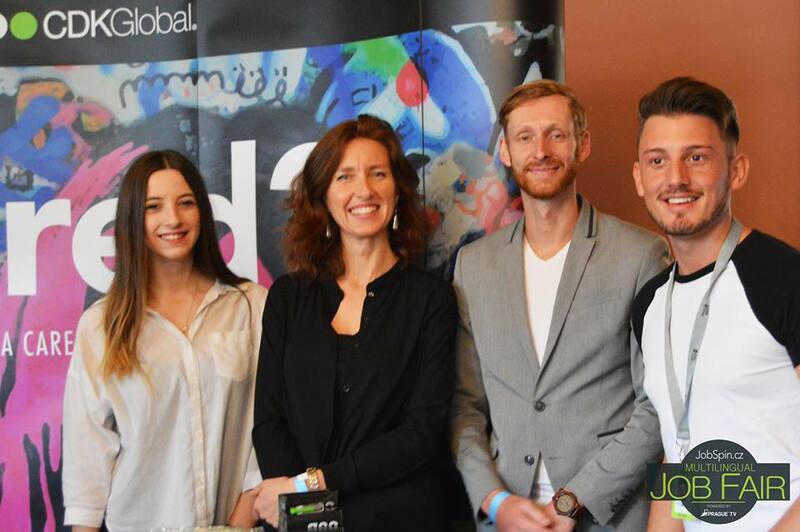 JobSpin.cz Multilingual Job Fair Powered by Prague.TV: CDK Global. April 8, 2017, Anglo-American University. 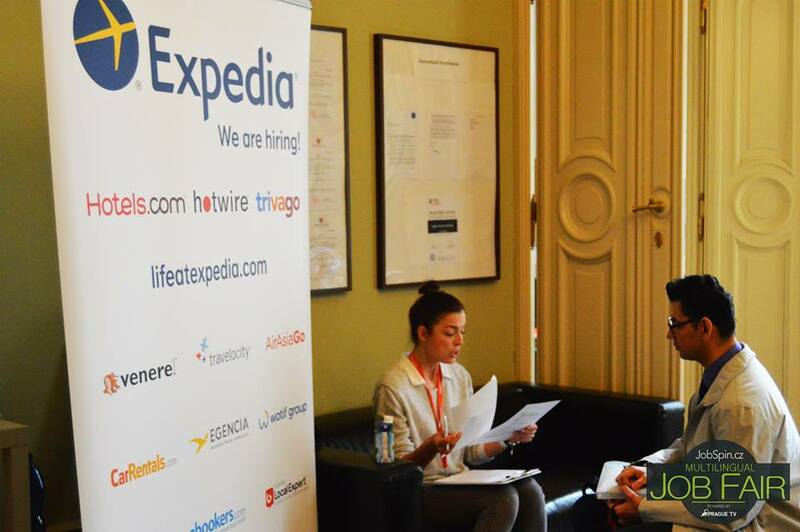 JobSpin.cz Multilingual Job Fair Powered by Prague.TV: Expedia. April 8, 2017, Anglo-American University. 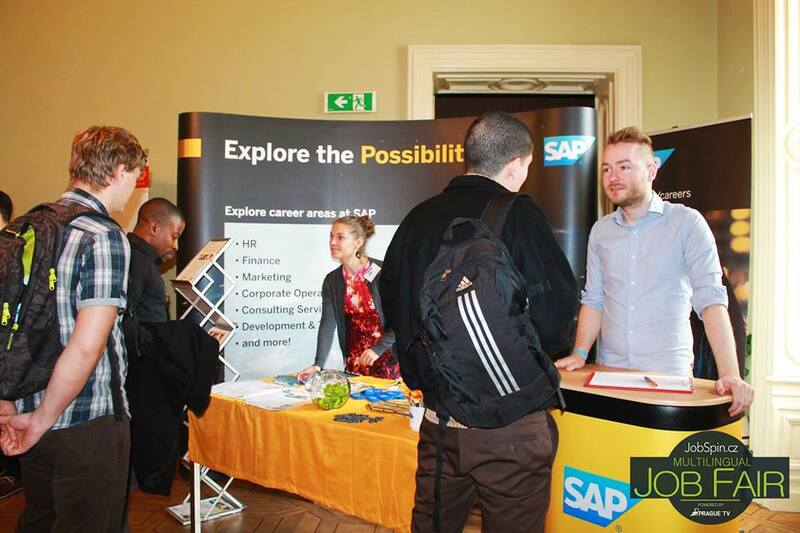 JobSpin.cz Multilingual Job Fair Powered by Prague.TV: SAP. April 8, 2017, Anglo-American University. 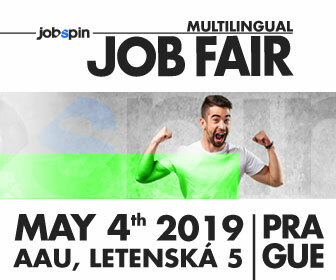 JobSpin.cz Multilingual Job Fair Powered by Prague.TV: Sellbytel Group. April 8, 2017, Anglo-American University. JobSpin.cz Multilingual Job Fair Powered by Prague.TV: AB InBev. April 8, 2017, Anglo-American University. JobSpin.cz Multilingual Job Fair Powered by Prague.TV: Pepper de Callier. April 8, 2017, Anglo-American University.